You may not have considered buying a fence previously, but if you haven’t then you really should start now. It’s hard to not stress on reasons people need to buy fences, and some of those are maybe one’s you might not even be aware of. That’s alright, though, because, by the time you finish reading this, you’ll understand the Top 4 reasons to add a fence to your property and the best place to purchase that fence from. 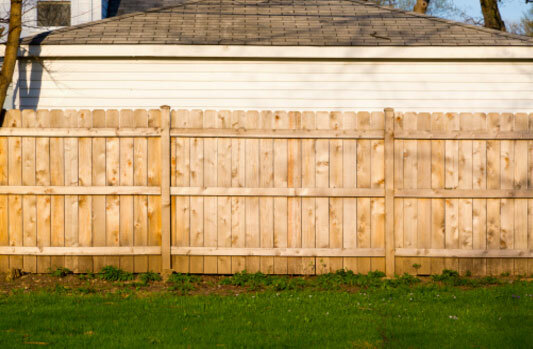 What are the top 4 reasons to add a fence to your property? You may not feel like you need a fence, or that you can even benefit from one, but after reading these four top reasons, you might reconsider and be out to buy one sooner than you think. The first reason we encourage a person to purchase a fence is for safety and security. While you may live in a safe area and think you don’t need one, it’s not just about thieves. For those who have children or children over, this is a great way to keep them safe from wandering off, while still allowing them to play in the back yard. Privacy, need we say more? If you’re like one of the hundreds of residents who live in a home that’s property is small or is built closely on top of another, you’ll really appreciate this. With a fence, you can spend time outdoors whether it’s gardening, tanning, or whatever you prefer, all without prying eyes. You might want to talk to your neighbor about splitting the cost since they might want privacy as well. Property value. Many people aren’t aware that when you purchase and install a fence on your property, it actually increases the value of your property and home. If you don’t plan to reside there for the rest of your lives, that’s good news for when the home goes on the market. If you are in a neighborhood where most other houses have a fence, not having a fence could decrease your property value or make it more difficult to sell. Our final reason you need to add a fence to your property is they prevent people from trespassing as well as giving your home and property a sense of completeness. Open land on a home creates the illusion that there is always something missing or incomplete. With a fence, it seems to just be a metaphorical ribbon on the project. Likewise, some people don’t care if there walking through another’s yard, or have no problem cutting through yards to get somewhere faster. This can cause damage to the yard and of course, it’s unsettling. A fence can also solve this problem by making sure people aren’t using your backyard as a personal walkway in which your lawn, flowers, and plants are getting destroyed. There are many other reasons why you would hire a Fort Collins fence company to install one of the many types of fences, but these represent the top 4 reasons we hear from customers.